HERMOSA BEACH, CA – 9/21/2010 – Deep Silver, the games label of Koch Media, a worldwide producer and distributor of digital entertainment products, announced today that SBK®X, the newest addition to the simulation Superbike World Championship racing series developed by Milestone, will be shipping in America with the Legends Pack DLC on disc for console versions. 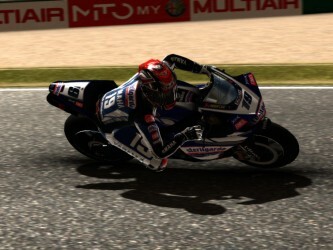 The Legends Pack brings the biggest names in Superbike racing back onto the track! Players can destroy the competition as “King” Carl Fogarty on his beast of a Ducati 996, or take control of Ben Spies’ devastating Yamaha R1. With 16 legendary racers to choose from, players will be able to take the competition of the present and face off against the masters of the past! No matter who they choose, they’ll ride the track as a Legend. SBK X offers a wealth of options to the player: whether pursuing a highly realistic racing experience or just thirsty for a push-button go-fast thrill ride, players will find what they need. Add in constantly evolving tracks, 90+ racers to choose from, three separate racing classes, 16 player multiplayer, and a robust career mode, and players will find that SBK X gives them everything they’re looking for. Since 2003, Deep Silver has developed and distributed interactive games for all leading videogame platforms. In all, the company has published more than 100 games. Deep Silver products are designed to equally appeal to a wide audience, from kids to adults. For more information please visit www.deepsilver.com. Xbox, Xbox 360, and Xbox LIVE are trademarks of the Microsoft group of companies.